Dr. Eva Galstian, of Family Medicine NYC, PC in New York City, is a skilled primary care doctor and travel medicine specialist who believes that beauty is more than skin deep; she believes that aesthetic procedures actually contribute to a more healthy you. She is a certified aesthetic consultant and her primary focus is to alleviate pain and discomfort both inside your body and your outer appearance by improving your overall health and wellness. Beautiful skin, for example, is healthy skin and good posture not only improves flexibility and ease of movements but also aids the central nervous system. Among the services she offers are Botox® and Dysport® injectable fillers. At her practice, Dr. Galstian provides men and women with a range of treatments, including vaccinations, primary care services, physical exams, testing for sexually transmitted diseases, Pap smears, and travel medicine. 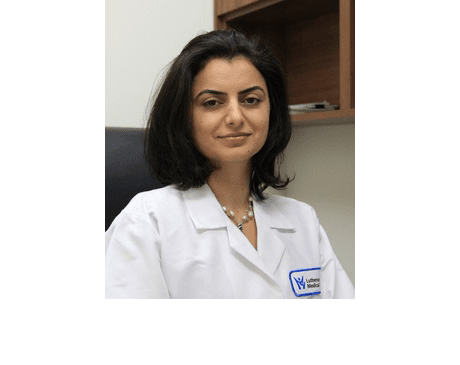 After graduating from the New York Institute of Technology’s College of Osteopathic Medicine, Dr. Galstian completed her internship at the Maimonides Medical Center. She finished her residency in family practice at the Peninsula Hospital Center. Dr. Galstian also specializes in women’s health, bringing a compassionate female perspective to women’s health care. For almost a decade, Dr. Galstian has helped men and women in the New York City area to look and feel their best. Dr. Galstian utilizes the utmost precision and diligence in providing individualized care. International patients, tourists, and new patients are welcome.